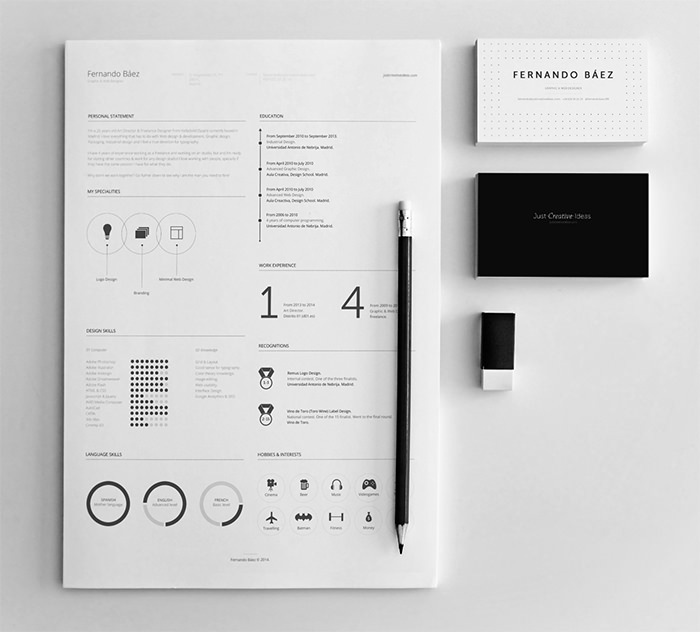 By Nancy Young in Office. 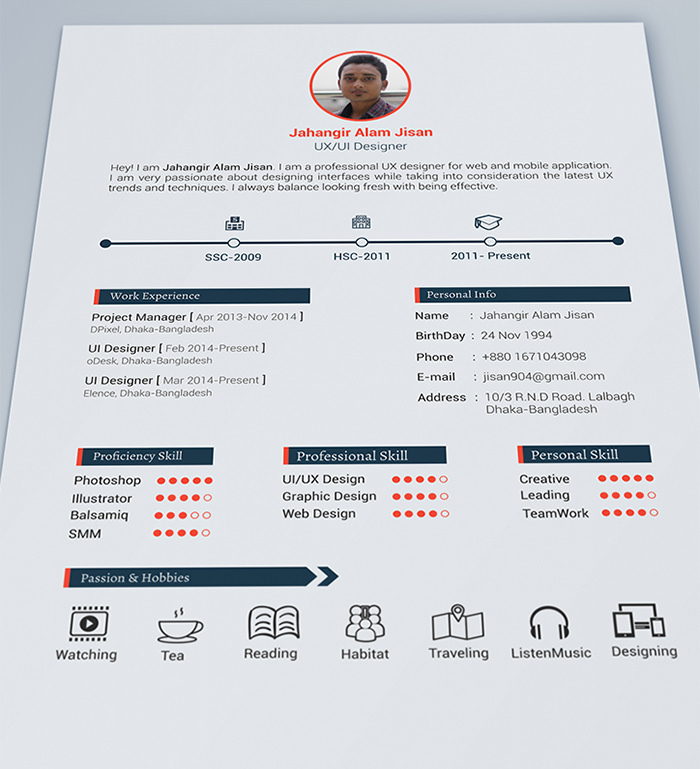 Updated on November 20, 2017 . 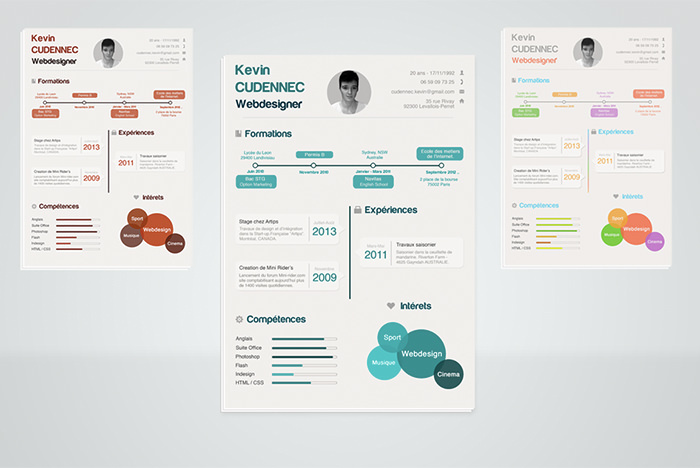 You probably have seen the professional-looking, eye-catching resumes that talented web designers have been designing and showcasing online. 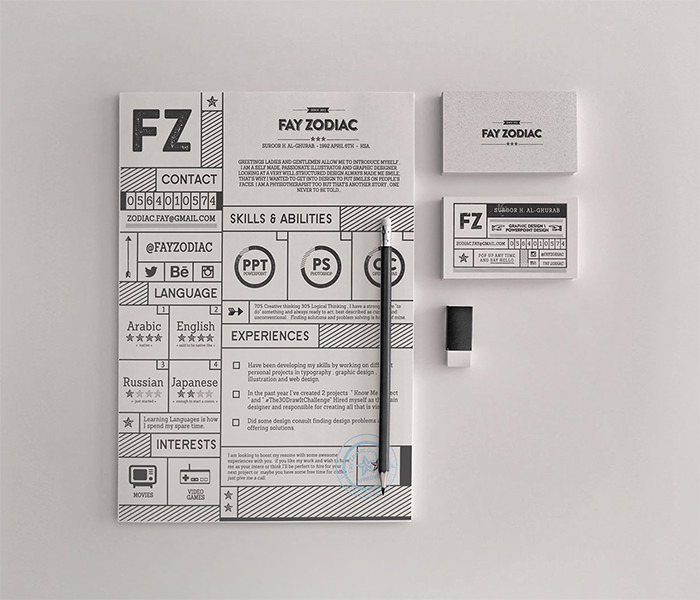 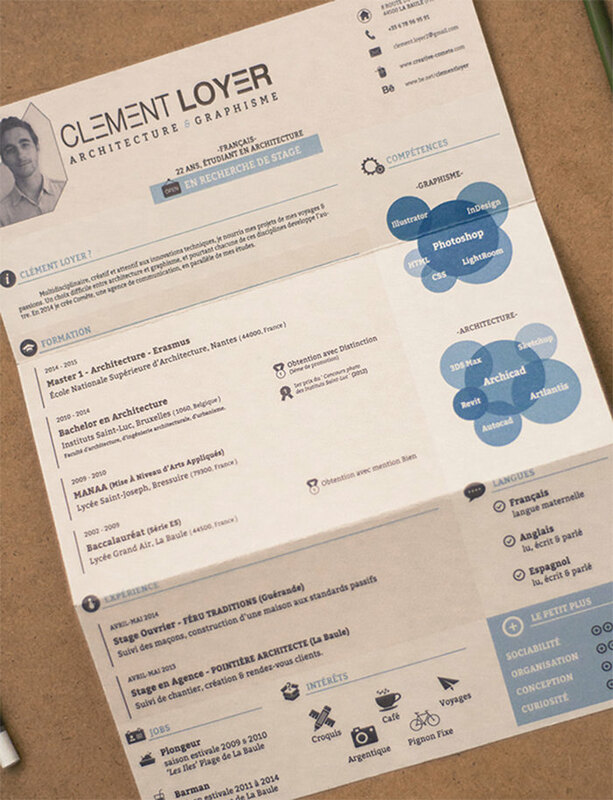 If you haven’t, it’s not too late to check out this collection of creative resumes. 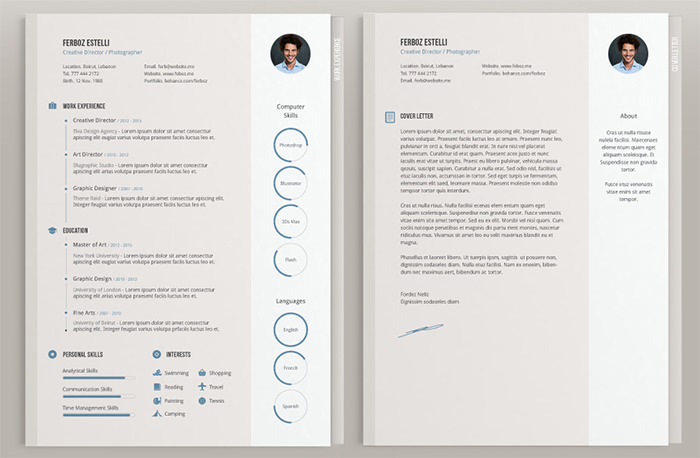 Making an impressively designed resume from scratch may be a bit of a challenge, especially if you don’t do design for a living. 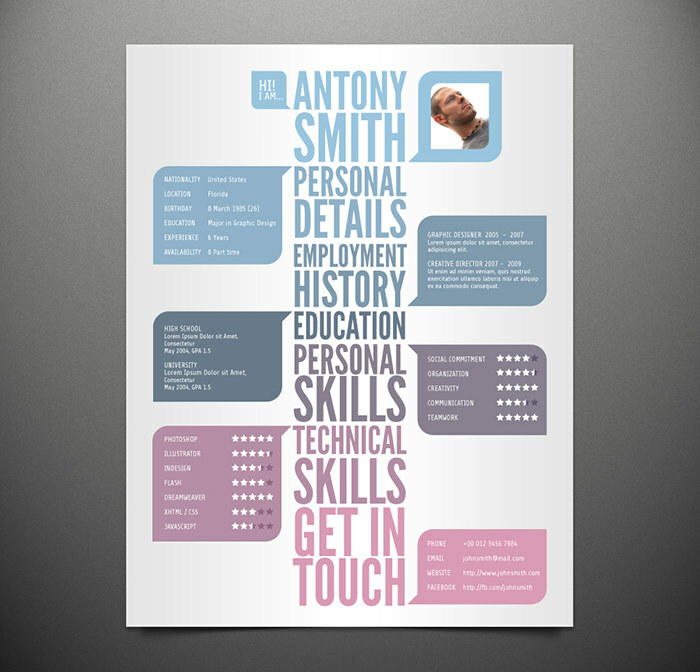 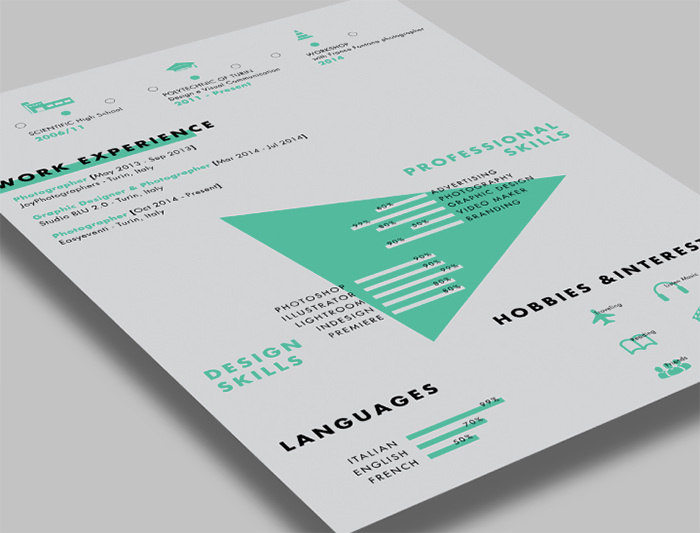 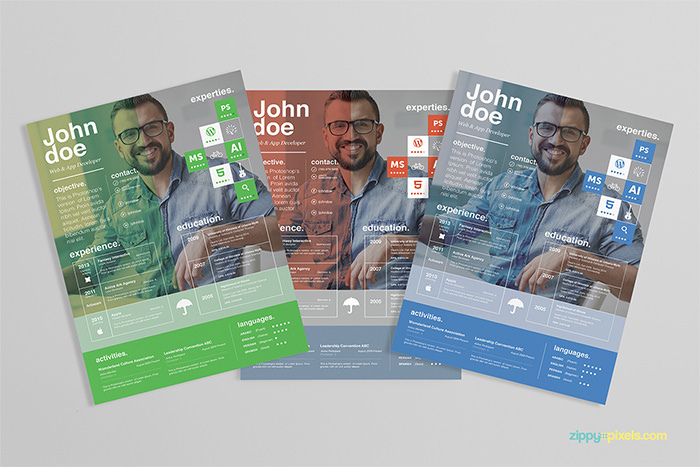 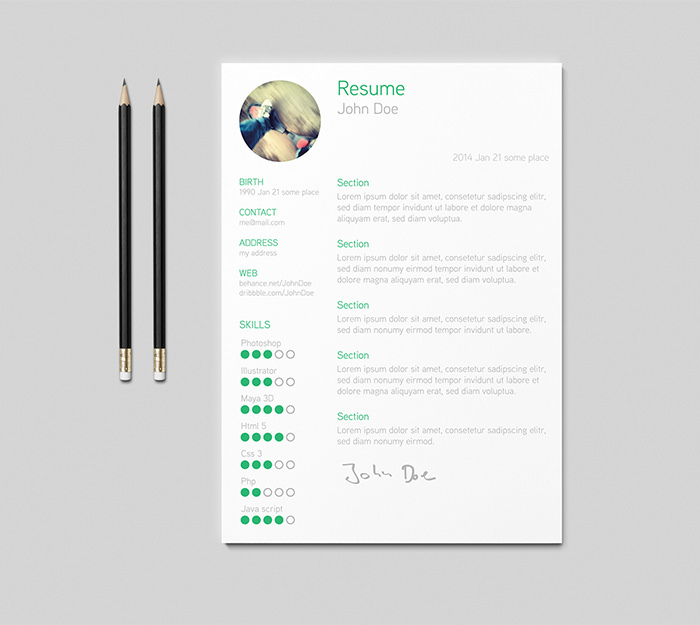 But if you want to give your resume a visually stimulating edge, grab any of these resume templates below. 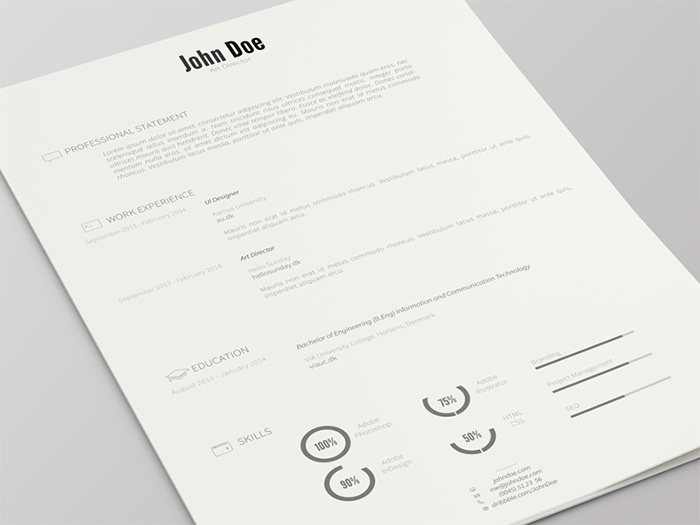 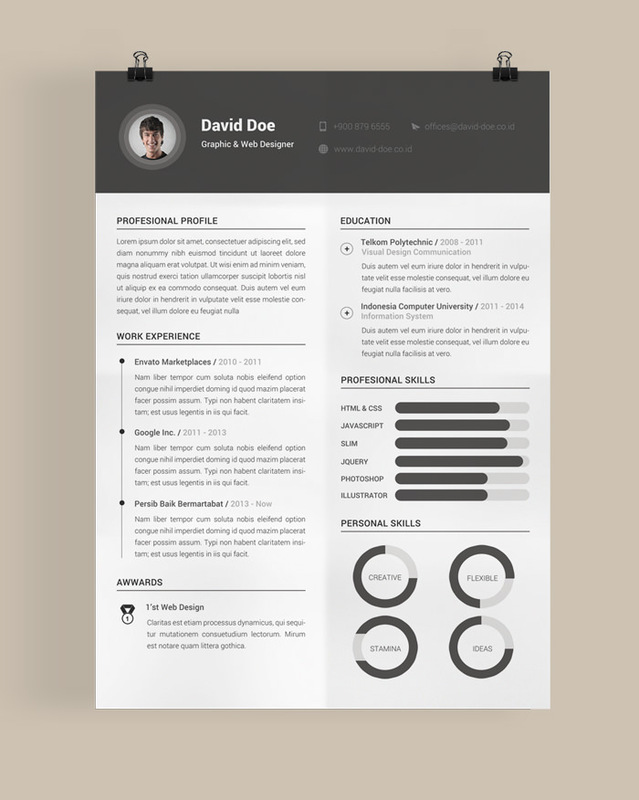 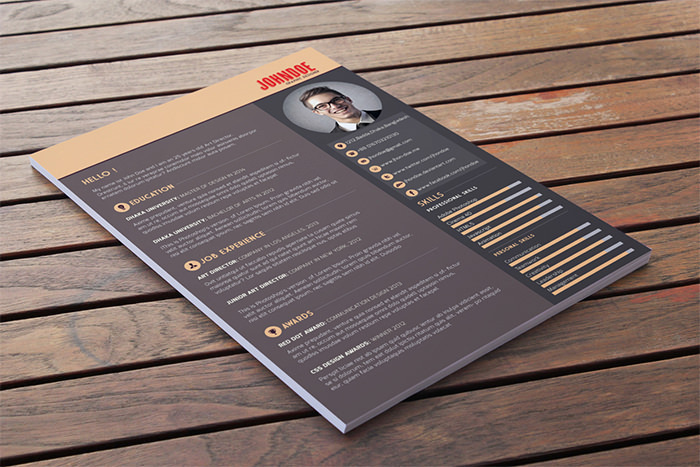 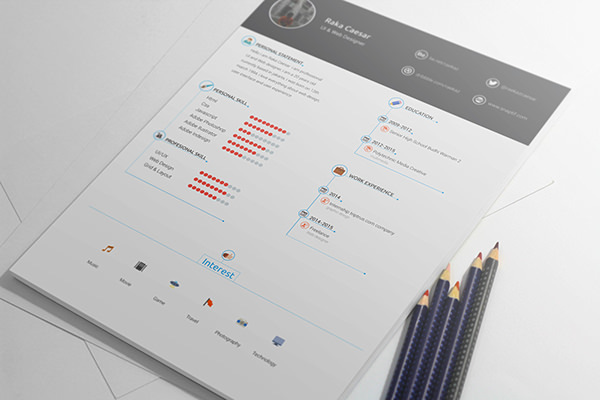 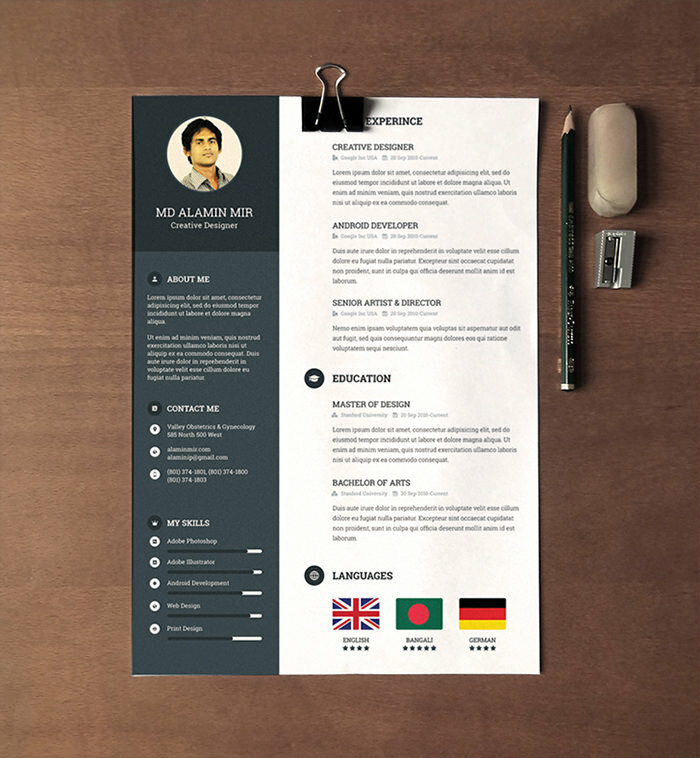 There are many premium CV templates available on the Web but these free templates are classy choices too. 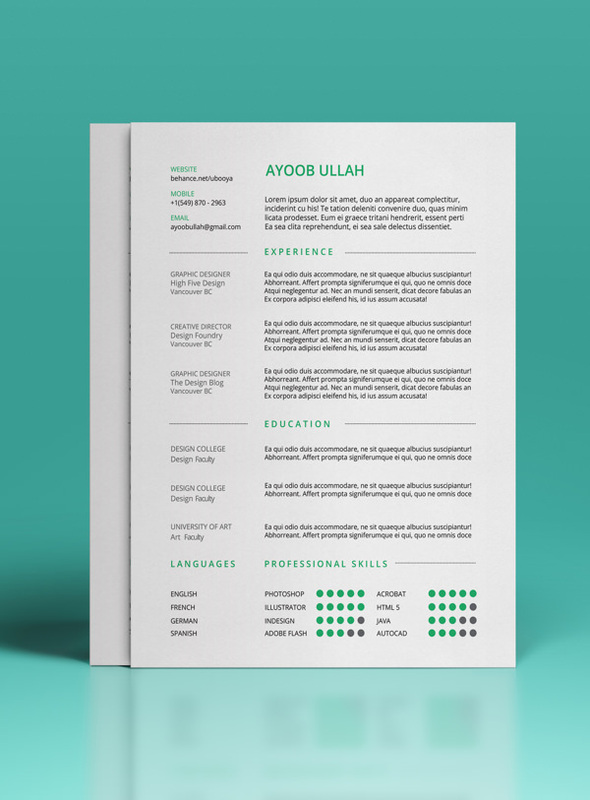 From minimalistic to modern, to loud and fabulous, find a resume design that shows your personality then hone that to showcase your best features and make yourself more marketable.